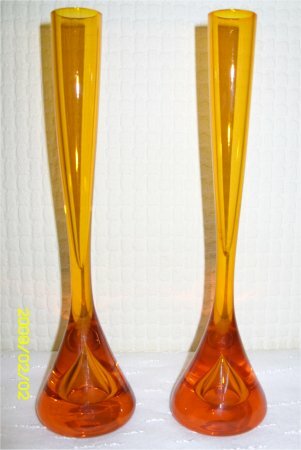 "9566 8½" high Bud Vase (AFG S/B)". The AFG S/B refers to the available colours at that time: Aqua, flint, gold and sky blue. 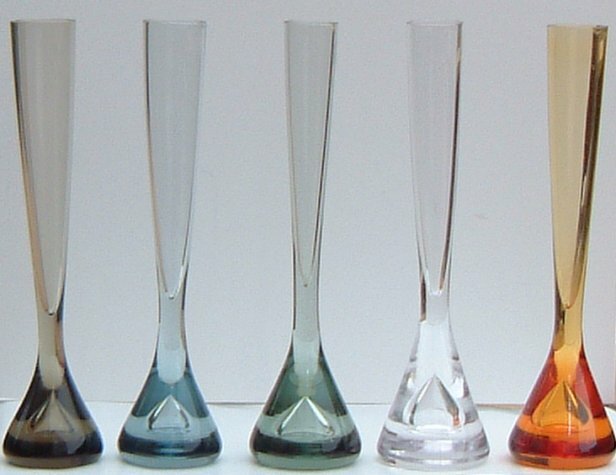 The colours shown here, from left to right are "twilight", "arctic blue", "ocean green","flint" and "gold flc". They were also available in sky blue (1980 catalogue page 35), silver,tangerine, and aqua. 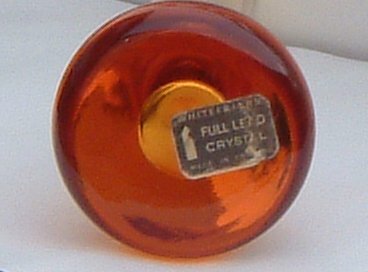 Records have shown that small batches were also made in ruby and lilac but these have not been found yet. 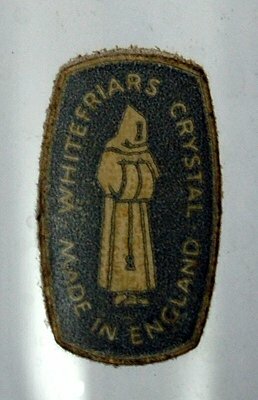 The gold vase in my collection has a label attached to the base, which reads WHITEFRIARS FULL LEAD CRYSTAL MADE IN ENGLAND (see below).